« NEW MERCH – JUST IN! Season’s greetings from the Limehouse Grotto! As our team of worker elves fashion new Les Pauls and valve amps for all the aspiring young rockers out there, we have to venture out and continue to bring some yuletide cheer with our gigs in the countdown to Christmas. We have been having an absolute blast out on road since we last wrote! Our usually mild mannered drummer Lee has even started breaking cymbals which is a sure sign he’s cutting loose, and giving his kit the tonking it so richly deserves. The Assembly Rooms in Derby must rank as one of our best shows yet – it was heaving in there, and one of the best ever load ins ever as our crew vied for position in the car park with the WWF wrestlers who were grappling in the room next door. No ‘old school’ World of Sport characters here, apart of course from our very own Eden, the ‘Otley mauler’, who could scare off the bravest of men when he puts on a leotard and a sparkly top hat. 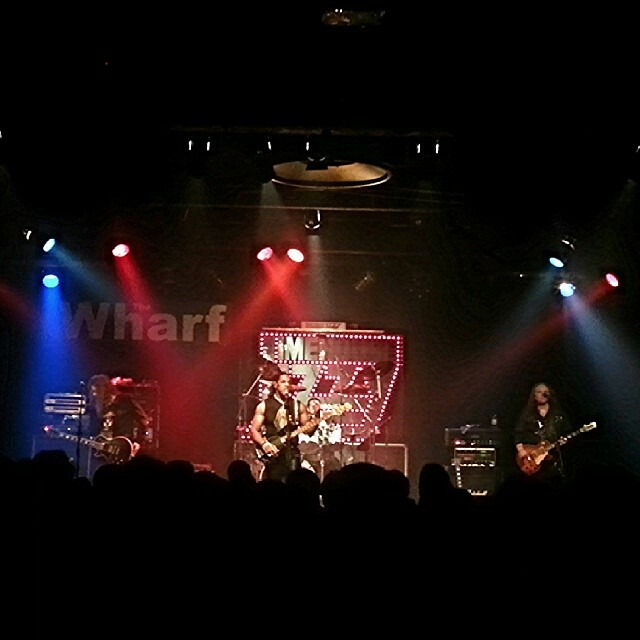 Rockin’ show and what a great atmosphere thanks to you all! We also made a return to the Pavilion Theatre in Whitby, where again the Yorkshire Barmy Army turned out in force on a wet and windy night that would have had Count Dracula heading back to Transylvania. This is now becoming an annual event, and massive beano out to the coast after madness of the Goth Fest has died down. See you all next year! 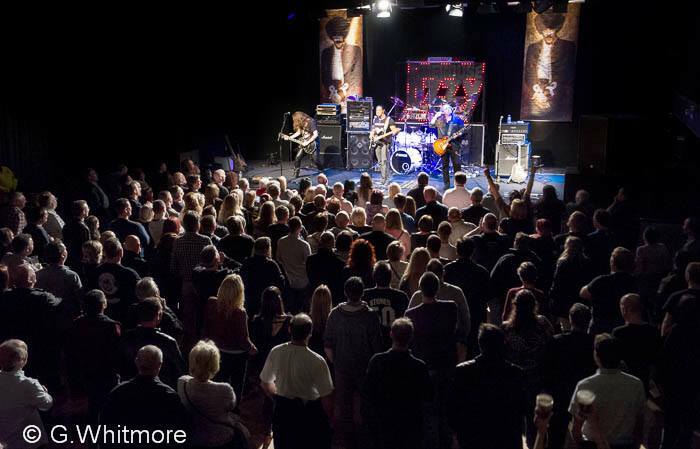 We also have another blockbuster with the Guns ‘n’ Roses Experience coming up on the gig list – a 31st Dec New Year’s Eve special over at one of our favourite venues, the Picturedrome in Holmfirth. Tickets for New Year’s Eve are selling like hot cakes, so make sure you get yours early to avoid disappointment this one will sell out! Hope you all have a very merry Christmas and a happy new year!! 30th The Tackeroo CANNOCK VIEW EVENT BUY TICKETS NEW GIG! Always check with the venue before travelling! We use Inception printers and consumables, please visit their online store!